If the guests attending tomorrow’s Royal Wedding at Westminster Abbey had been selected on merit, the church would be half full. Dignitaries include a set of dictators or their representatives whose presence the Government has decided are necessary. William and Kate’s personal list does include, after obligatory family members, those worthy of their invitation. Much of the rest reflects the circles in which the Royal couple move – the privileged, the odd rich cokehead, and pop culture lightweights. Where William should be applauded is his determination to exclude former Prime Ministers Tony Blair and Gordon Brown. No one believes their absence is due to protocol - they are not members of the Order of the Garter unlike the invited former PMs Lady Thatcher and Sir John Major. 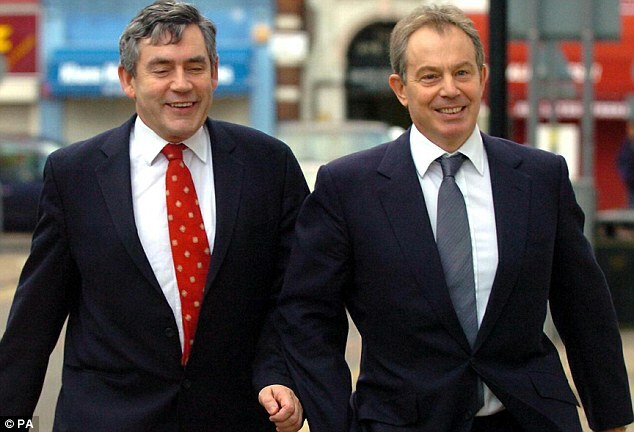 Brown is probably the ‘victim’ of the Royals’ dislike of Blair. Either both went or neither. Personally I would have barred Brown on the grounds of the damage he did to Britain’s economy. William and brother Harry – both military men – might carry a grudge about how Brown’s parsimony did more damage to the strength of our armed forces than any enemy. But I believe Blair is the focus of William’s displeasure, while his wife Cherie never endeared herself to Buckingham Palace with her perceived inverted snobbery. Any thoughts William might have about Blair dragging Britain into an illegal war with the invasion of Iraq, he has kept to himself. What is clear, however, is that the Royals have never forgiven Blair for hi-jacking the death of Diana, and his christening her the People’s Princess. Now in this respect Blair did The Firm (as the Royals call themselves) a favour as much as he did himself in 1997. The Royal Family doesn’t do emotion and the Queen and her advisers hadn’t a clue how to respond to the nation’s grief – and the growing anger directed at Prince Charles's despicable conduct while married to Diana. Blair ‘bullied’ the Queen into taking the appropriate action – broadcasting to the country etc – and the insult has not been forgotten. After tomorrow the Prince’s constitutional position will not allow him again to make what could be interpreted as such a partisan gesture. But William’s wish not to make his marriage vows to Kate in front of a man held in such low esteem by his family (and much of the UK) must be respected.